At Sugarloaf Golf Club, you will capture this experience from the moment you pull into our driveway to the time you leave. Our friendly staff, meticulously manicured greens & fairways, and cozy clubhouse & bar/restaurant all define the sights and sounds of a quality experience you get every time you visit. Reserve your tee time today so you can enjoy the 4-star rating and impeccable customer experience we deliver day in and day out! *** Please call the Pro Shop or e-mail us for weekday tournament price information or scroll below for our fabulous “All-Inclusive Group Special.” Our group coordinator, Judy Knelly, can be reached at 570-956-0671 (cell) to help with all phases of tournament planning. With 40+ years of tournament planning experience, Judy will answer your questions and guide you through the planning process. Our staff is committed to making sure you have a successful event and a day you can enjoy! 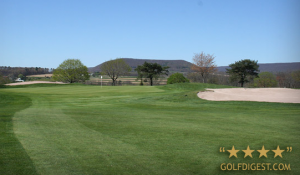 Attn: Tournament directors and those wanting to host a tournament or outing of any size with Sugarloaf Golf Club: Now you will have your very own Tournament Planning Site! Tournament planning can be much less stressful if you let us help! Our Special Events Coordinator, Judy Knelly, has authored several articles that will help make your tournament run like clockwork! Check out our blog for the complete series. If you’d like printable copies, just email us and Judy will gladly share the articles with you. Weekend Afternoon Special $64.95 PER GOLFER ***All Inclusive ~ no hidden service fees! *Each player will receive a coupon for a beverage (draught beer, canned soda or bottled water) which can be used during registration or during the round. *Beverages include: Coffee, Tea, Fountain Soda & Domestic Draught Beer during dinner for approximately 1 hour. *Price is based on 40 or more golfers starting at 12:00 p.m. or later. *Non-golfer price for dinner is $22.95 & includes beverages.